 "The Jimmy / Timmy Power Hour" premieres May 7.  Agreement Signed with Nickelodeon for "Jimmy Neutron"
 DNA Productions, Inc. of Dallas is working on its second Christmas special, "Olive, the Other Reindeer," produced by The Curiosity Company, headed by Matt Groening of "The Simpsons."  Work continues on "Jingaroo," a 3-D animated video series for children ages 5-8. 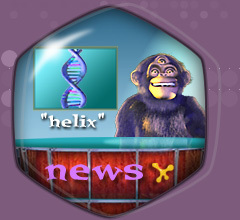  DNA is developing a feature film and television series of "Jimmy Neutron Boy Genius"
 "Jimmy Neutron" pilot wins bronze at WorldFest-Houston International Film Festival.